I hope you all enjoyed and had a happy Thanksgiving. I have one more challenge due for the year. I have family coming to visit and need to get this last one done before they get here. 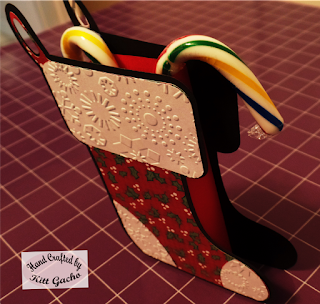 This stocking pattern is from the Cutting Cafe. 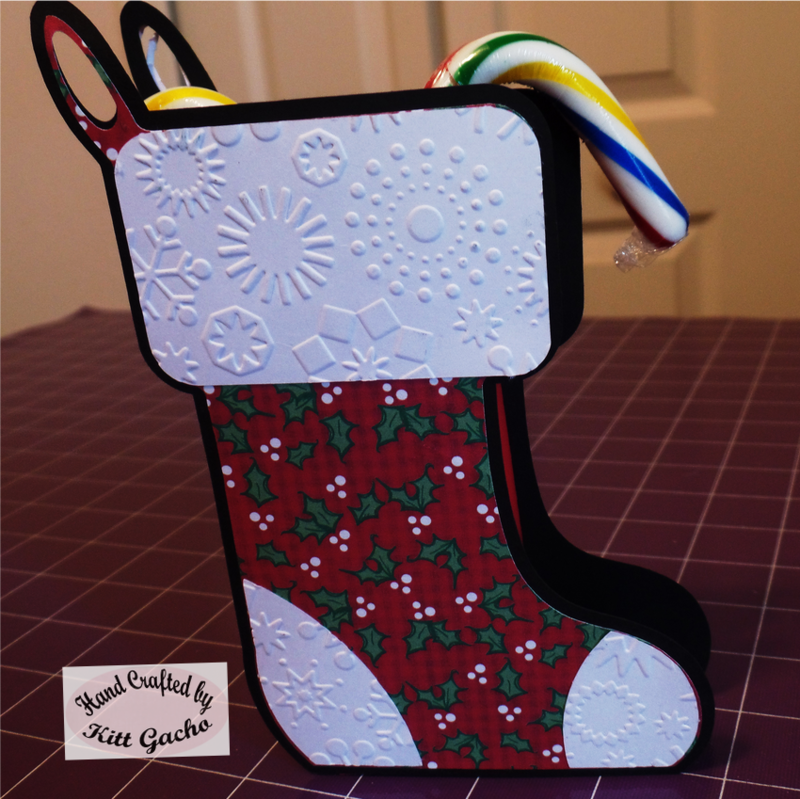 I used the Silhouette to cut it and Cricut snow flake embossing folder for the trim. I will have one more post coming after this one for sure. I am using this project for the challenge over at Decorate to Celebrate for 3D challenges and Cookie DT for holiday inspiration. Thanks for stopping by today and leaving your comments. Have a happy crafty day.